CARBONDALE, Ill. — Housing policies in the United States and efforts to legislate and enforce fair housing will be among the key points in a lecture next week at the SIU School of Law. 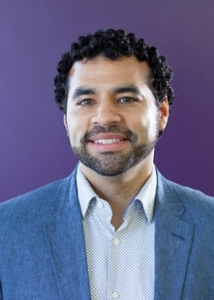 Juan Carlos Linares, executive director of the Latin United Community Housing Association, a Chicago-based affordable housing agency, will present the Hiram H. Lesar Distinguished Lecture on Oct. 30 at Southern Illinois University Carbondale. In its 36th year, LUCHA assists more than 8,000 clients in the Midwest each year by offering housing counseling, foreclosure prevention and legal assistance. Linares’ presentation, “Advancing Housing as a Human Right,” is at 5 p.m. Oct. 30 in the SIU School of Law Auditorium. The event is free, and the public is invited. This is the 22nd lecture in the series established to honor founding Dean Hiram H. Lesar. A reception will follow the lecture in the law school’s formal lounge. Reporters, photographers and camera crews are welcome to attend the Lesar Distinguished Lecture with Juan Carlos Linares at 5 p.m. on Oct. 30 in the SIU School of Law Auditorium. For more information or to arrange interviews, contact Michele Mekel, director of external relations, at mmekel@siu.edu or 618/453-8768. Linares said housing serves as a platform for local and national policy making, which can drive the economy but also separate groups.